Bollywood filmmaker Karan Johar is his own man and lives his life to the fullest. The 46-year-old is apart from being a director is also an actor, writer, producer, chat show host, radio jockey and the list is unending. But, above all, he is very close to his mother and children. 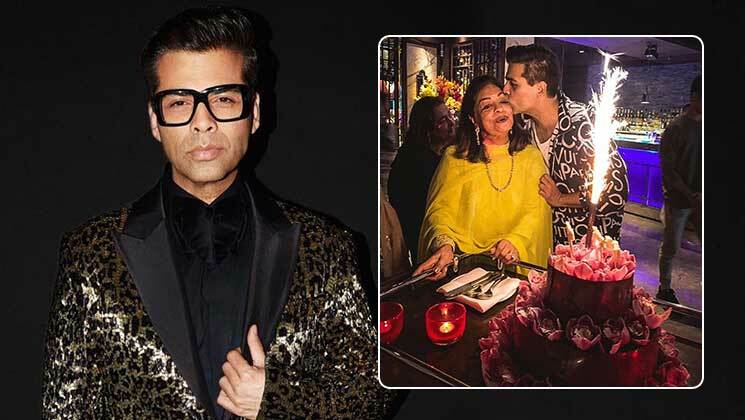 Now, yesterday (March 18), KJo’s mom Hiroo Johar celebrated her 76th birthday. The birthday bash had the presence of Sharmila Tagore, Jaya Bachchan, Salma Khan, and others. Now, a video has emerged on the internet, where Hiroo is scolding Karan (not in a crude way though). The moment captures the bonhomie that Karan enjoys with his mother. It is so good to see Karan indulging in banter with his mommy. Karan has often reiterated that Hiroo Johar has played an important role in his career and life. The ‘My Name Is Khan‘ director is a proud family man.